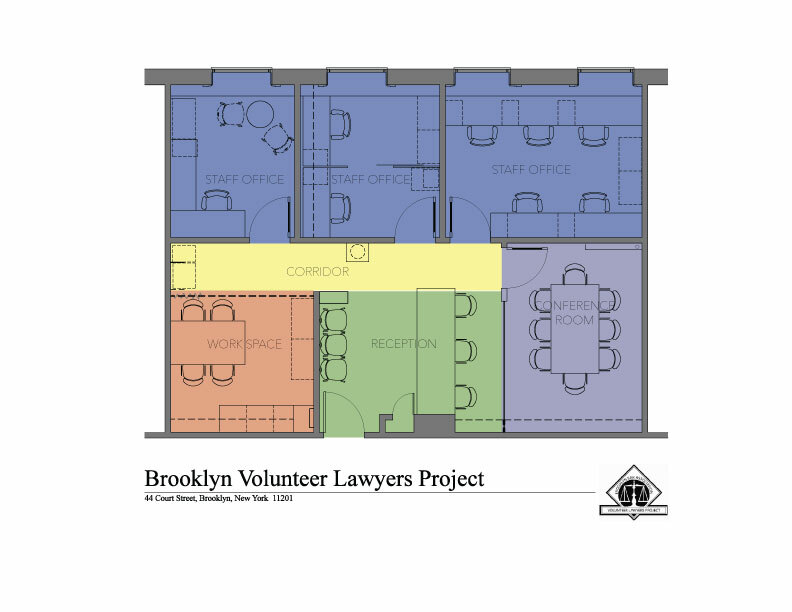 Establishment in 1990, the VLP operated from a 450 square foot office at the Brooklyn Bar Association. But after years of steady growth, we were bursting at the seams and simply needed larger quarters. Fortunately we found a new home at 44 Court Street! The VLP’s move to the 900 square foot office meant more space for clients, staff, and volunteers. Remaining in downtown Brooklyn also allowed easy access to transportation and the courts. Though we relocated, our mission remained the same – to help the underserved and to ensure equal access to justice for all. The VLP’s move to 44 Court was made possible in large part to the generous support received in response to our 44 Court Street and Raise the Rent Campaigns. A very special thank you to the generous sponsors and permanent fixtures of 44 Court Street who made significant contributions to our campaign. We are grateful for your generosity and leadership. Thank You to the following individuals who generously contributed to our Raise the Rent Fund. Your support made a tremendous difference in securing critical funds to help cover our first year of rent at 44 Court Street.